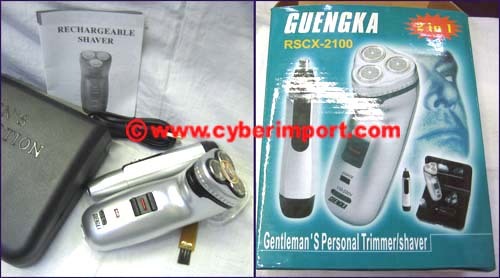 OUR ONLINE CATALOG and this grooming shave electric rechargeable page serve as a cross-section of our China exports. Greater variety is available. Email us a photo example of what you seek. Export prices often change. All are re confirmed after your inquiry. You will be emailed a pro-forma invoice offer. 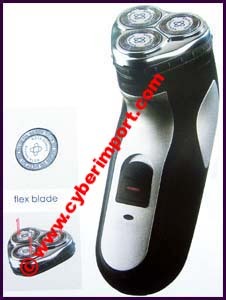 High Speed and double blades. Intelligent switch. 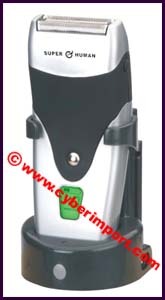 Outer charging plug. Cleaning brush. 8 hour charge. Automatic voltage selection. Three-head. 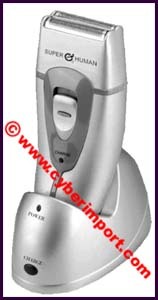 Up to 25 minutes cordless shaving. 18 razor sharp blades for a fast shave. 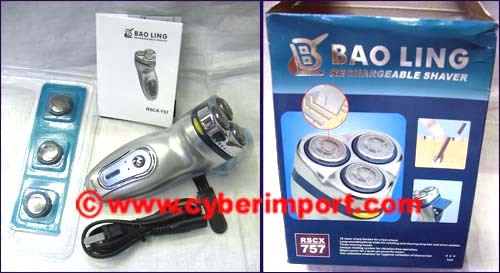 Long omnidirectional slots for catching and shaving the beard.Three shaving heads. Unique rotating system for vibration-free operation.Slient Power for a quiet yet powerful motor. 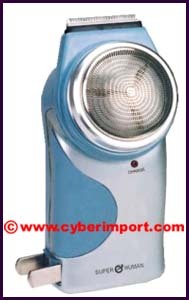 Hair collection chamber for hygienic of shaven hair.hair collextion chamber for hygienic collection of shaven hair. Inpendently floating double headband blade and cutting technology. 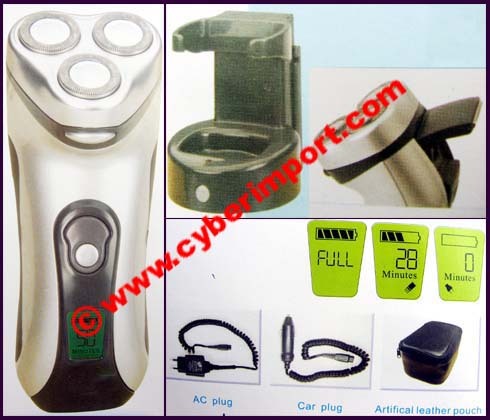 China Factory Minimum Quantity of these grooming shave electric rechargeable items can be negotiated with factories. Dollar Amount is often more important to smaller factories than the quantity of each piece. 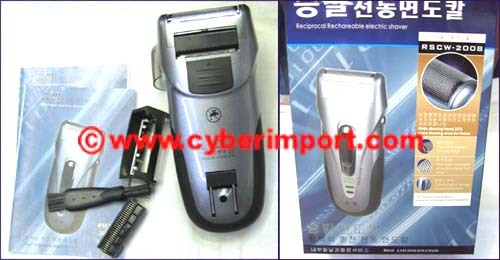 Minimum quantity often can be divided among several grooming shave electric rechargeable or stock numbers. Please inquire with us about your specific needs for smaller quantities than those listed. Smaller quantity can result in a bit higher price. Ask us for a quote. 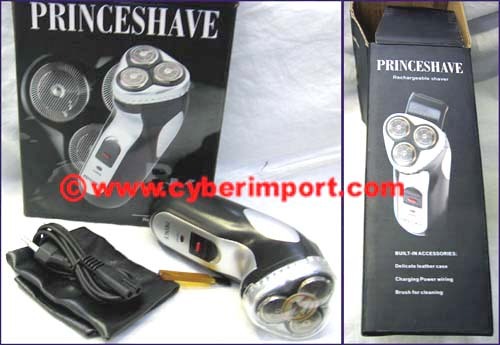 Custom Orders are possible with any of our grooming shave electric rechargeable products. Send us a .jpg example of what you want. If we don't have it, we can get it.